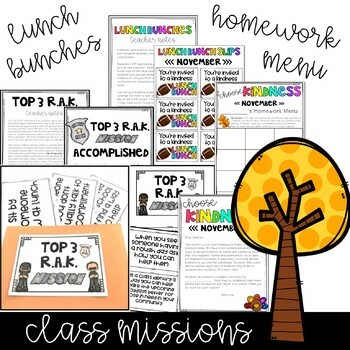 This resource is perfect for the busy teacher who wants to include kindness and social emotional learning in their room. 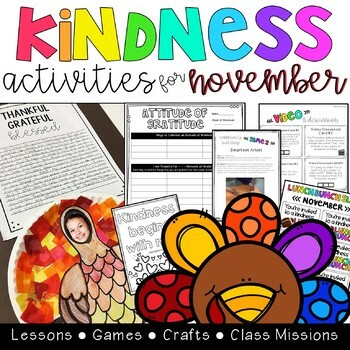 By teaching and engaging your students in kindness these activities build community all month long! Your students will LOVE the activities and you’ll love its time saving versatility. 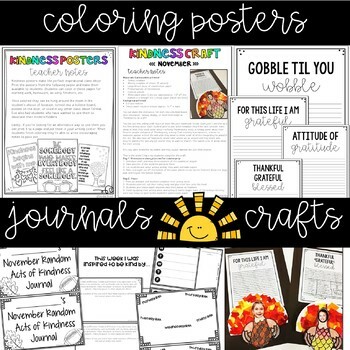 These cute Thanksgiving turkey crafts look adorable lining the hallway too! Everything is included for you - making your lesson prep simple and easy. Click here to SAVE 30% by buying ALL 10 Monthly Kindness Units in one convenient year-long bundle. 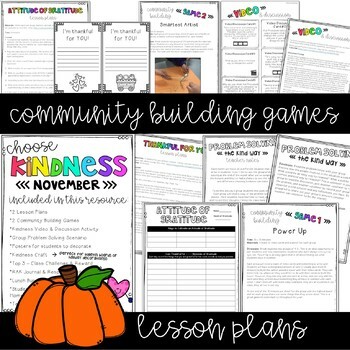 • Love this kindness resource? Check out my favorite classroom challenge - Mission Possible turns students into secret agents carrying out random acts of kindness! • Looking for a school wide kindness challenge? I've got you covered, check it out here! Don't forget leaving feedback earns you credits toward FREE TPT purchases. I love hearing from you and appreciate all of your feedback!